The rectangular Bega 44661 can be used wherever an unobtrusive look is desired. Lichtbaustein® – light brick – has been a Bega trademark for more than 50 years now that exemplarily stands for a minimalist, virtually unchanged design. The luminaire housing is made of die-cast aluminium, the silk-matt diffuser is made of hand-blown, three-layer opal glass. The cuboid opaque diffuser of the ceiling light resembles a brick. Hand-blown glass provides a soft distribution of light. The Bega 44661 wall light, Lichtbaustein® supplies soft and uniform light in all directions. This lies in the responsibility of the opal glass diffuser that diffuses the light in a pleasantly glare-free way. The wall light should be equipped with a 75 W halogen lamp. This type of lamps offers warm-white light with a brilliant colour rendering index of Ra=100. 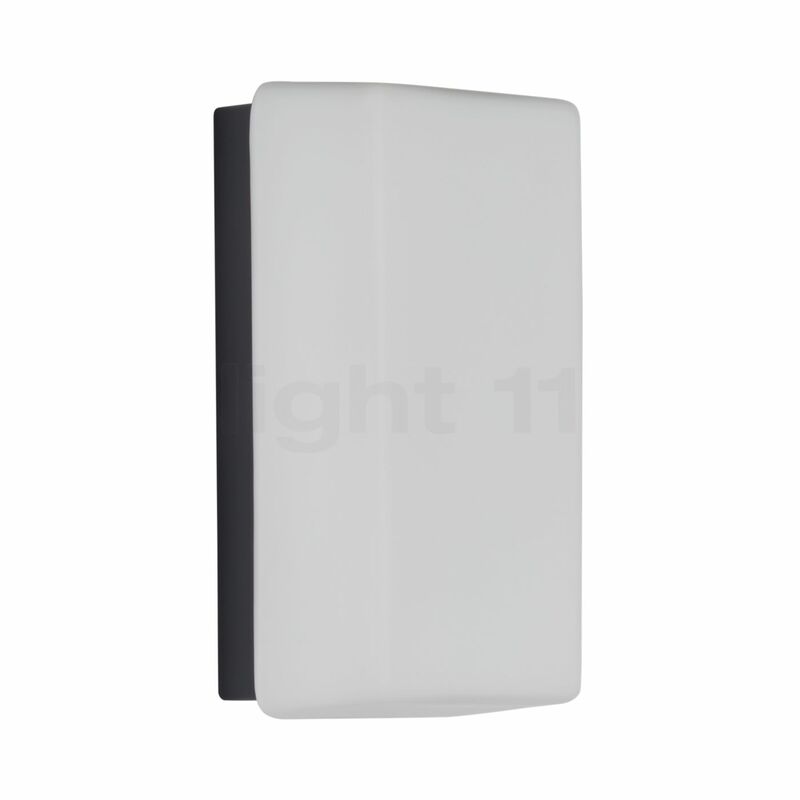 The Bega 44661 light brick is designed in accordance with protection type IP44 and is therefore protected against the ingress of solid foreign bodies as well as splashing water. Additional information: should the solid glass of the 44661 from Bega be unexpectedly damaged at a certain point in time you may order a replacement glass in our shop. Tell other customers and us about your experiences with the 44661 wall light, Lichtbaustein® 75W ! 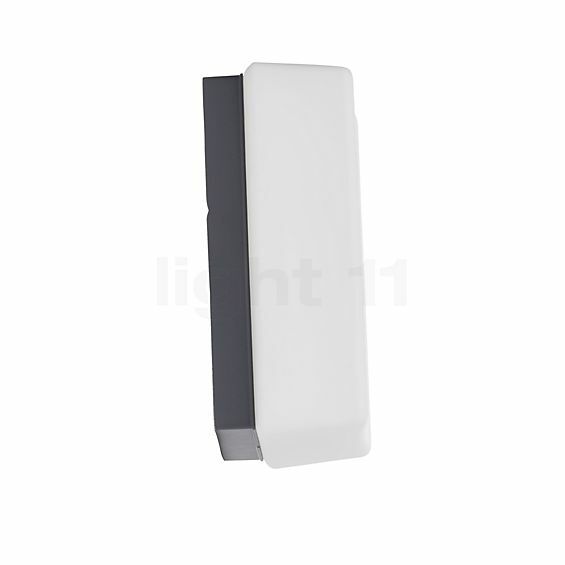 The Bega 44661 wall light, offers numerous possible application options indoors as well as outdoors. It is a popular solution in the area of the house entrance. Here, it supplies welcoming lighting that guides the inhabitants and their guests and shows them the right way. In front of the door the wall light from Bega assists you with widely diffused light and thereby supports you while you are searching for the right key. If it is installed in the vicinity of stairs, it averts the risk of tripping. An exterior light such as the 44661 Lichtbaustein® additionally makes sure that unwanted guests who prefer operating in the dark refrain from getting too close to your home. This wall light additionally ensures a more atmospheric illumination on the balcony or the terrace – and thereby makes sure that nobody needs to leave a convivial gathering just because it gets dark. If the Bega 44661 is installed on the house facade, it provides for an attractive accentuation of the building architecture. Here, the unpretentious wall light serves as an unobtrusive eye-catcher. The minimalist light source is also recommended for indoor use: in a hall, its harmonious light creates an inviting ambience that ensures a friendly welcome for the inhabitants and their guests.